The scientific name for the Arctic wolf is "Canis lupus arctos." Canis lupus arctos is also the Latin name for Arctic wolves. 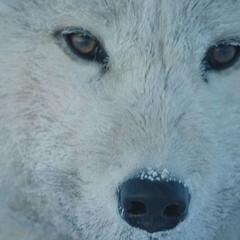 Arctic wolves are not shy. Although it is believed that most wolves are shy creatures, Arctic wolves have been known to steal equipment from campers, which requires courage. Although they are not pets, they accept sharing territory with humans and are very curious about human behavior.